Matthew Gibson is executive director of Virginia Humanities. He holds a Ph.D. in English from the University of Virginia. 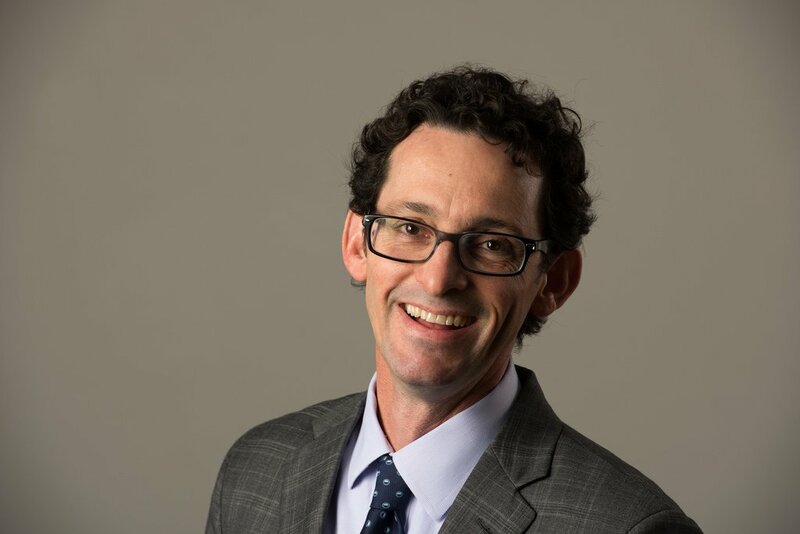 Prior to his position as executive director, Matthew was Virginia Humanities' director of Digital Initiatives and editor of Encyclopedia Virginia. 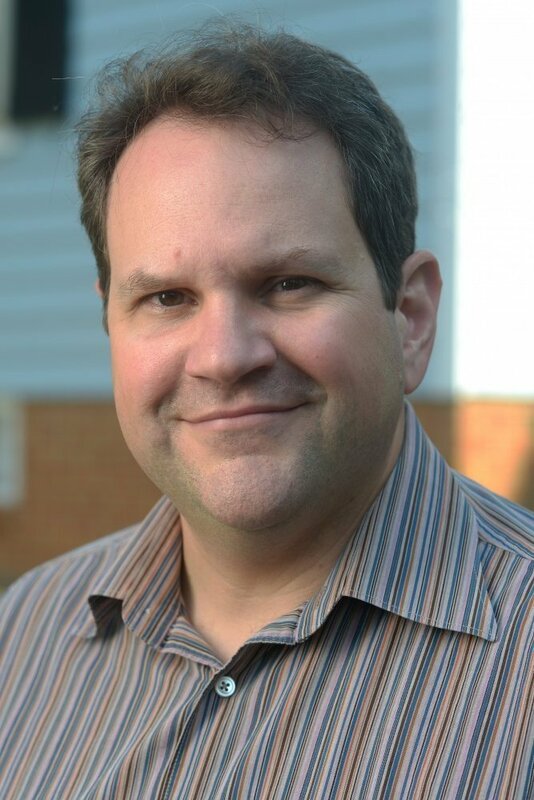 Prior to joining Virginia Humanities in 2005, Matthew served as Associate Director of the University of Virginia Library’s Electronic Text Center. Matthew has a multitude of conference presentations and several publications to his credit, mostly in the field of digital library standards. 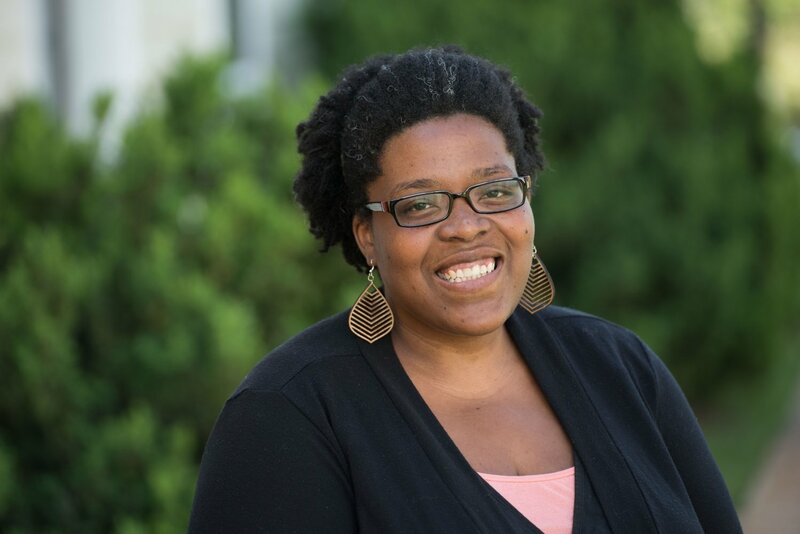 Raennah L. Mitchell is the assistant to the executive director at Virginia Humanities. She holds a Bachelor of Arts degree in English from the College of William & Mary. Prior to joining VH in 2018, she worked in acquisitions and design & production at the University of Virginia Press from 2008-2015. Also a freelance writer, she covers literary and visual arts for C-VILLE Weekly as a contributing columnist, a position she’s held since 2016. Cary Ferguson is financial assistant in Virginia Humanities' business office. She earned two Associate of Applied Science degrees from Piedmont Virginia Community College, the latter in Accounting in 2000. Soon after graduating, she had her first child. 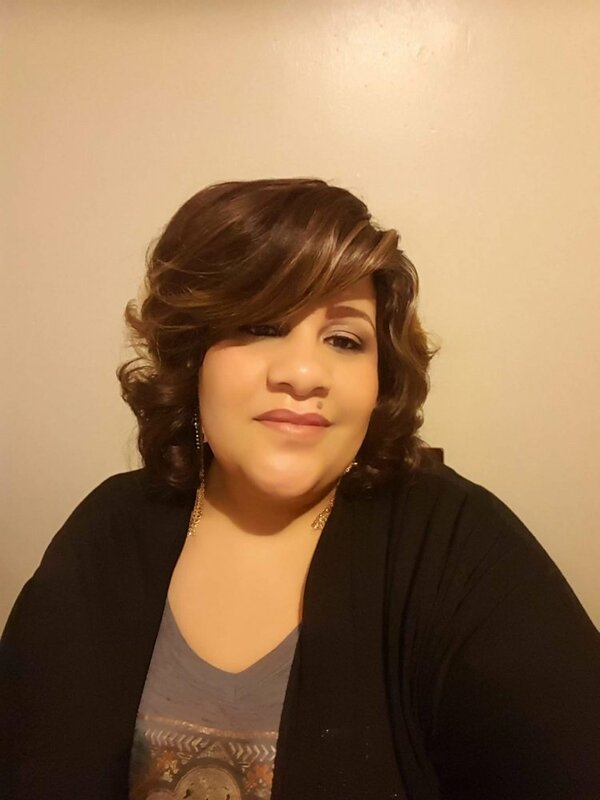 Wanting to stay at home to raise her children, she started her own medical transcription business working for a local hospital and various medical offices. In 2008 Ferguson started working part time for Virginia Humanities. As her duties and responsibilities continued to increase, she became full time in 2010. Ferguson manages financial payment and reconciliation processes, coordinates employee time management entry, and assists programs with organizing/coordinating finances and operations as well as organizing the record management archiving /destruction process. Her attention to detail, accuracy and efficiency in accounting are especially important for the annual audit. 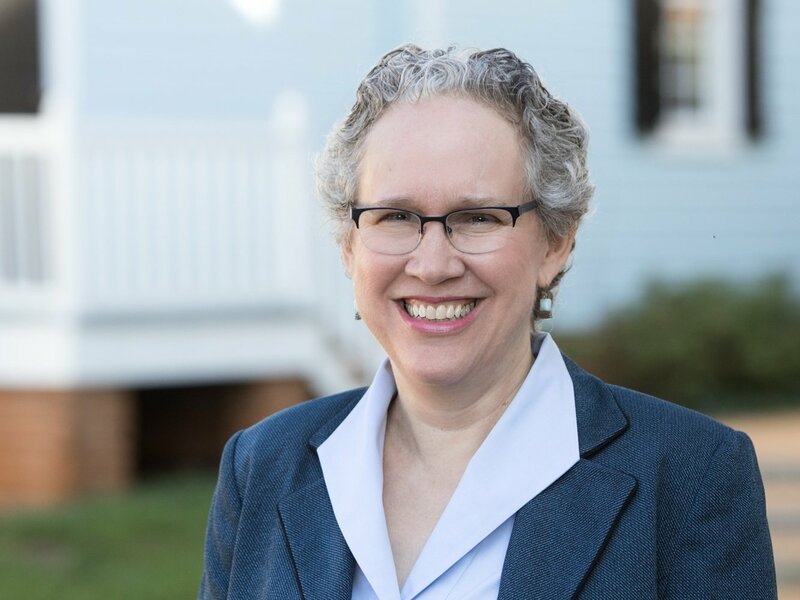 Ferguson has participated in numerous UVA business and accounting seminars, Human Resource workshops, and recently received her certification in Business Professional Development. 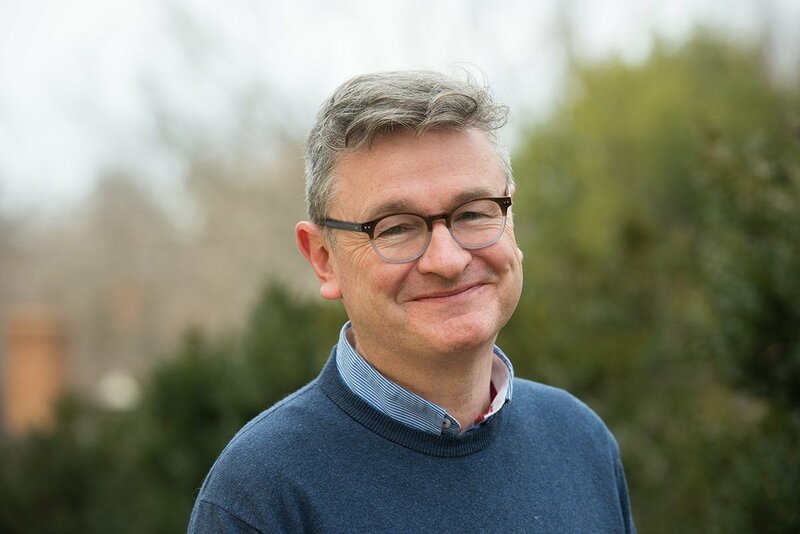 Kevin McFadden is the chief operating officer of the Virginia Humanities, overseeing planning and management of its programs. 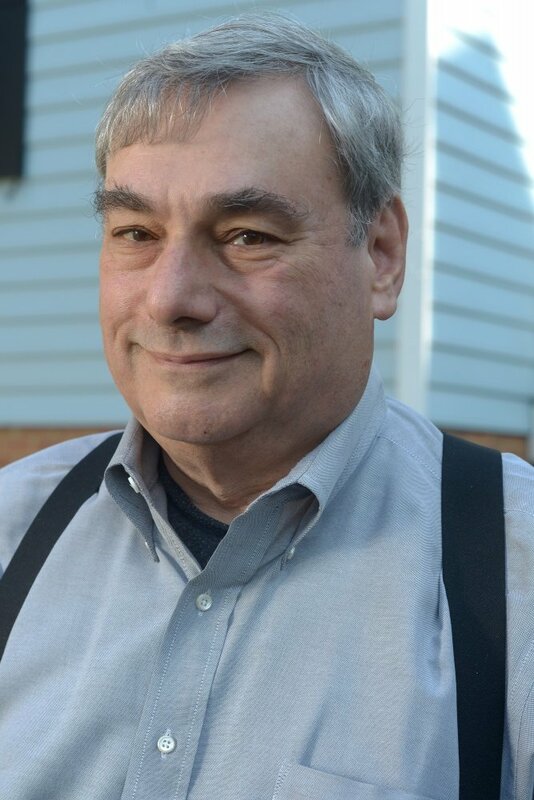 He worked for nine years as the associate program director of the Virginia Festival of the Book, continues development of the Virginia Arts of the Book Center, and has written and edited for Virginia Humanities newsletters and advocacy initiatives. 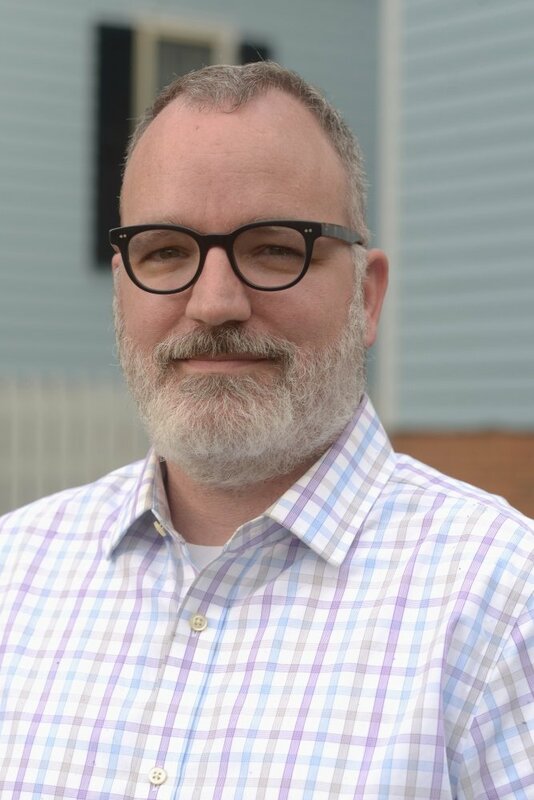 McFadden is the author of Hardscrabble, winner of the George Garrett Award for poetry from the Fellowship of Southern Writers and a New Writers Award from the Great Lakes Colleges Association. He was a Henry Hoyns Fellow at the University of Virginia. Judy Moody works part time as Receptionist. She earned a B.A. degree in Psychology from the University of Maine and worked as a social worker, a claims representative for the Social Security Administration, and Front Desk Coordinator of the Charlottesville Senior Center. 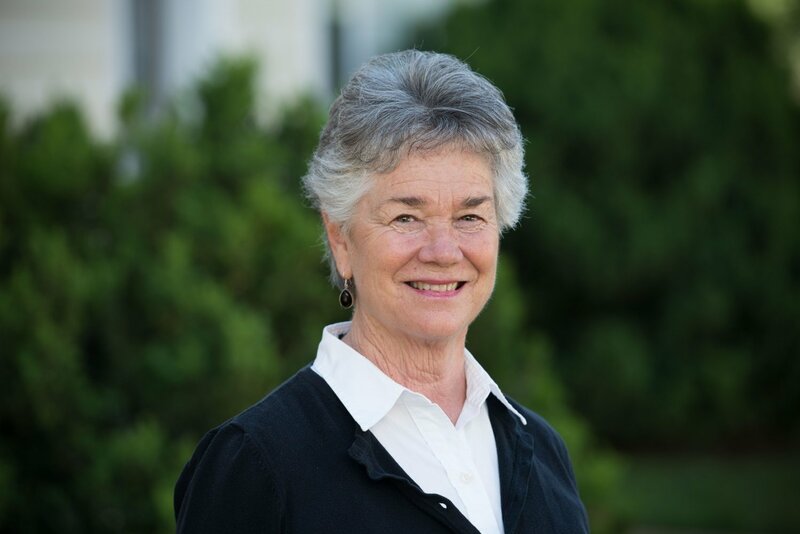 As Receptionist, Judy provides administrative support to staff and fellows and serves as the first point of contact to VFH guests and callers. 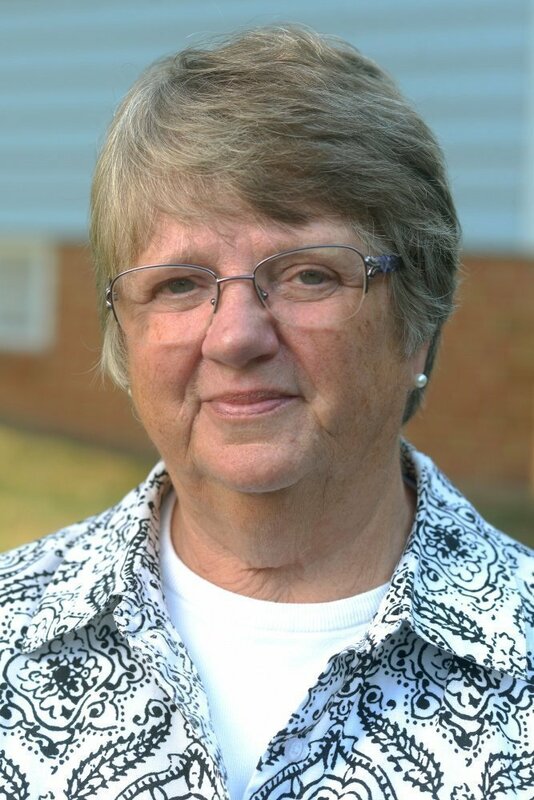 Judy began her work at Virginia Humanities in 2000 and very quickly demonstrated her people skills by helping make Virginia Humanities a warm and welcoming place. Jeannie Palin works part time as Receptionist. She earned a B.A. 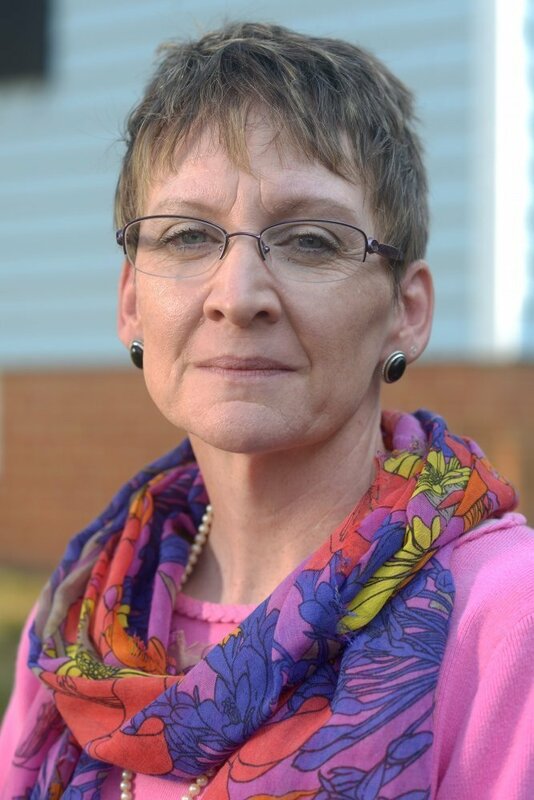 degree from Eureka College, taught elementary education for nine years, and then was a full-time homemaker before beginning work at Virginia Humanities in 1997. As Receptionist, she works closely with Judy Moody to ensure the smooth operation of the office. She, too, makes staff, fellows, and guests feel welcome. Jeannie coordinates Listener Services for “With Good Reason,” filling listener requests and maintaining the listener response database. Jeannie enjoys helping people, an especially important characteristic when working with a large staff and a stream of guests. Gail Shirley-Warren is business manager at Virginia Humanities, where her responsibilities include drafting the organization’s annual budget, monitoring and managing account balances, and pre- and post-award grants management. Prior to joining Virginia Humanities, Shirley-Warren was administrator for the Carter G. Woodson Institute for African-American and African Studies at UVA, coordinating several programs, managing grants, human resources, and financial operations. Previously, she worked for a local NBC television affiliate where her primary responsibilities were managing salable airtime, managing commercial inventory, and assisting Master Control engineers. She was awarded a University Administrative Internship and worked under the direction of the Dean of the School of Continuing and Professional Studies. She has served on University-wide search, administrative, and program committees; participated in numerous accounting, operations, human resource, and grants management seminars; and is currently pursuing certification as Research Administrator. 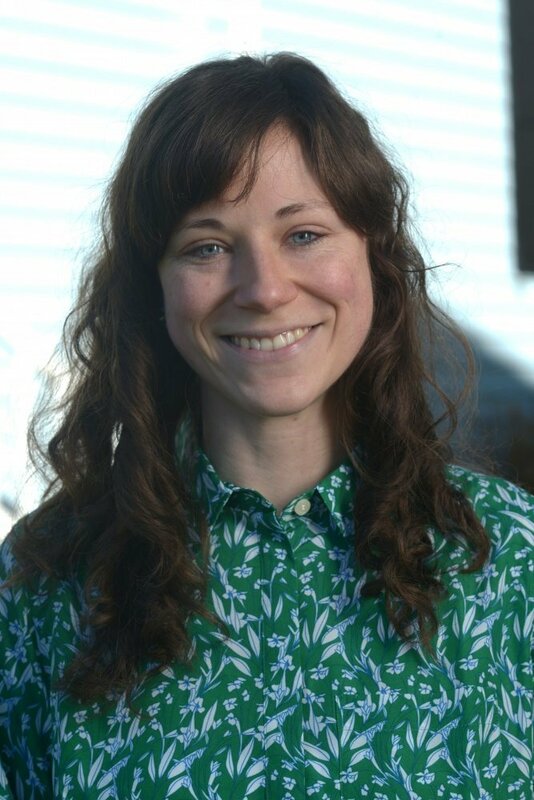 Tori Talbot is events manager for Virginia Humanities, primarily directing logistics for the Virginia Festival of the Book and numerous Virginia Folklife Program festivals. She has worked at VFH since 2002, first as the operations director for the “Re-Imagining Ireland” conference, as the program associate for Grants and Public Programs, and as assistant editor for Encyclopedia Virginia, where she provided administrative, editorial, and technical support for the project. A native of Bishop, California, she earned a B.A. in English Literature from the University of Virginia, and previously worked for the Virginia Film Festival. Jane Kulow is director of the Virginia Center for the Book and program director for the Virginia Festival of the Book. She joined Virginia Humanities in 2012 as assistant to the president. An advocate for reading, books, and libraries, Kulow served on the City-Wide Board of the Friends of the Boston Public Library; developed the Build Crozet Library grass-roots organization, providing a channel for community support in the long-time effort to build a new Crozet/Western Albemarle Library; was a member of the Build Crozet Library fundraising committee, which raised more than $1 million to stock and furnish the library; and currently serves on the Jefferson-Madison Regional Library Board. Kulow earned a BA in English from Illinois College and an MA in communication studies from Emerson College. Sarah Lawson is the assistant director of the Virginia Center for the Book. 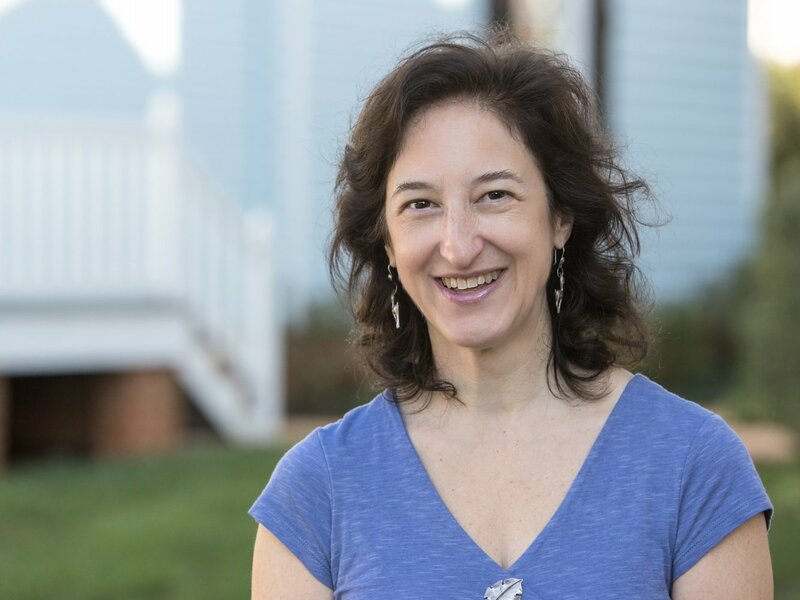 A longtime resident of Charlottesville and attendee of the Virginia Festival of the Book, she worked and volunteered for a variety of local nonprofits before joining Virginia Humanities in 2015. Continuing to build on her background in communications, Lawson is also a freelance designer and writer, with a focus on regional arts and culture. When she’s not working, reading, or traveling, you can usually find her with her dog. Garrett Queen directs the book arts program at the Virginia Center for the Book. His involvement with the Virginia Arts of the Book Center (as it was then known) began in 2007. As a volunteer he assumed the role of Printer in Residence, maintaining the center’s presses and equipment. Queen has instructed in letterpress printing and bookmaking and has helped manage a number of members’ projects. In 2013 he was honored as a Virginia Master Folk Artist by the Virginia Folklife Program. Bellamy Shoffner has dedicated her career to working directly with children and families to enrich daily life. This dedication, paired with a long-standing commitment to social equity and community outreach, contributes to her role at Virginia Humanities, working to bring diverse authors to underserved students throughout the state. 'Shoffner is also publisher, editor, and designer of Hold the Line, a quarterly magazine for parents devoted to social justice. Along with this publication, her personal essays and other works have been read worldwide. In her downtime, Bellamy enjoys reading, crafting, and exploring nature with her two sons. Maggie Guggenheimer is the chief advancement officer for Virginia Humanities. 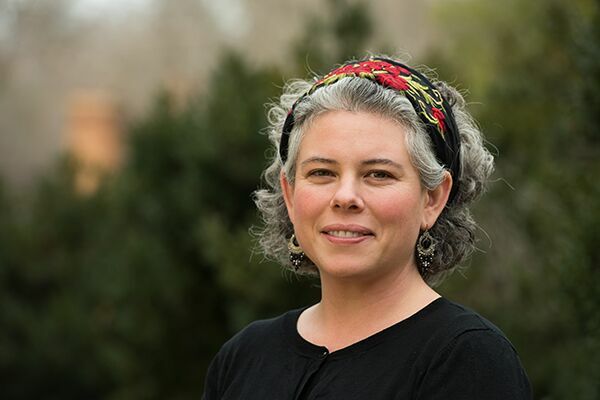 In recent years, she taught arts marketing for the University of Virginia and UMass Amherst (online) and provided audience research and strategic planning support for nonprofit arts organizations. Previously Guggenheimer served as management consultant for The Bridge Progressive Arts Initiative, executive director of Piedmont Council for the Arts, and freelance researcher for Randi Korn & Associates. She holds a BA in art history from UVA and an MA in arts administration from Columbia University. 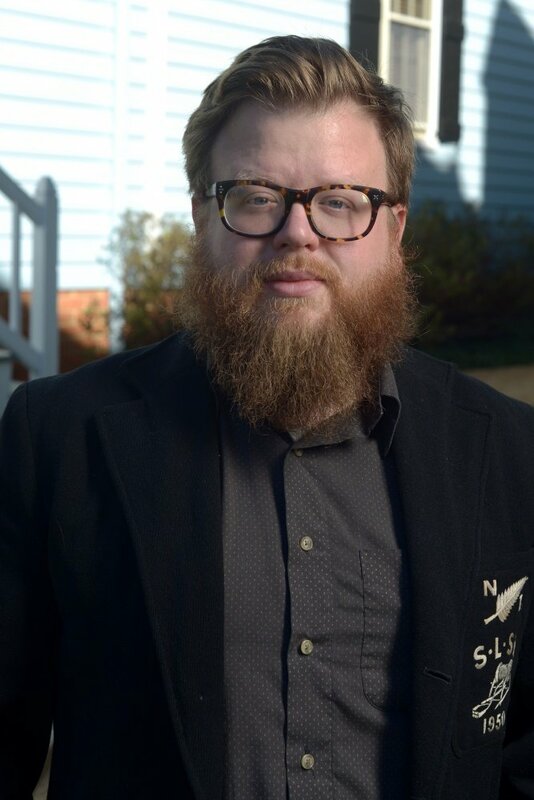 Trey Mitchell is the director of communications for Virginia Humanities. He was hired in 2005 as VFH’s first webmaster. 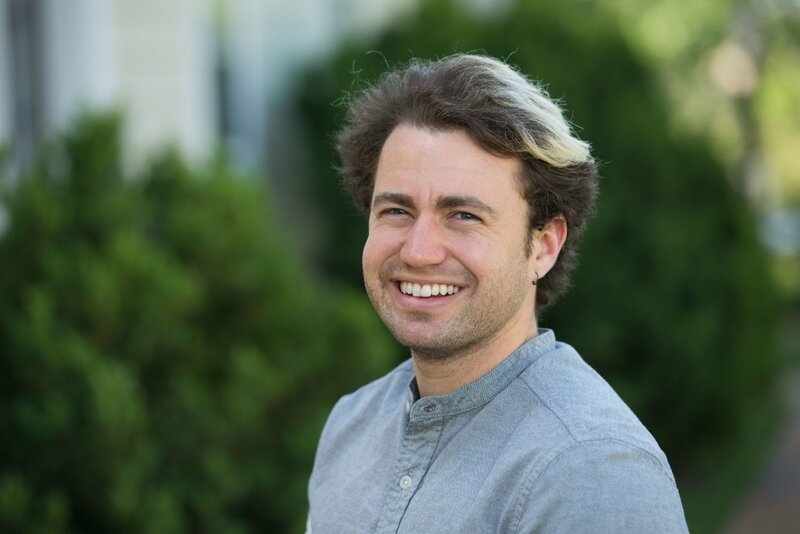 Prior to coming to Virginia Humanities, Trey worked in the UVA Web Communications Office as senior web developer. He holds a Bachelor of Science degree in electronic media management from Northern Arizona University. In 2009 Trey co-founded the annual edUi conference for web professionals working with cultural organizations. A native of Baltimore, Elizabeth Piper found her way back to Charlottesville in 2008 after a 15 year hiatus in London, D.C. and San Francisco. After receiving a BA in American Studies from the University of Virginia, Piper worked in Marketing and PR for architecture firms. For more than 15 years, she has cultivated a career in development for a variety of industries including healthcare, performing arts, and higher education. Elizabeth joined Virginia Humanities in 2010 as director of development, managing all aspects of fundraising for the organization. Prior, she established a major giving program for Historic Preservation at the University of Virginia. Outside of her day job, she keeps busy with travel, arts functions, and last but not least, running around with her daughter and precocious corgi. 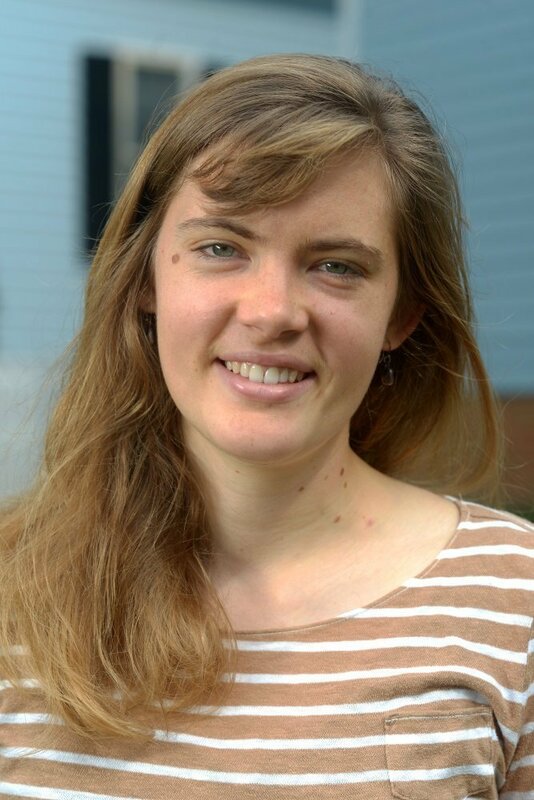 Miranda Bennett is the Assistant Editor of Encyclopedia Virginia. She brings her experience in public radio to EV, producing the podcast Not Even Past and gathering audio to annotate virtual tours of historic sites. She also manages the development and publication of primary resource content. 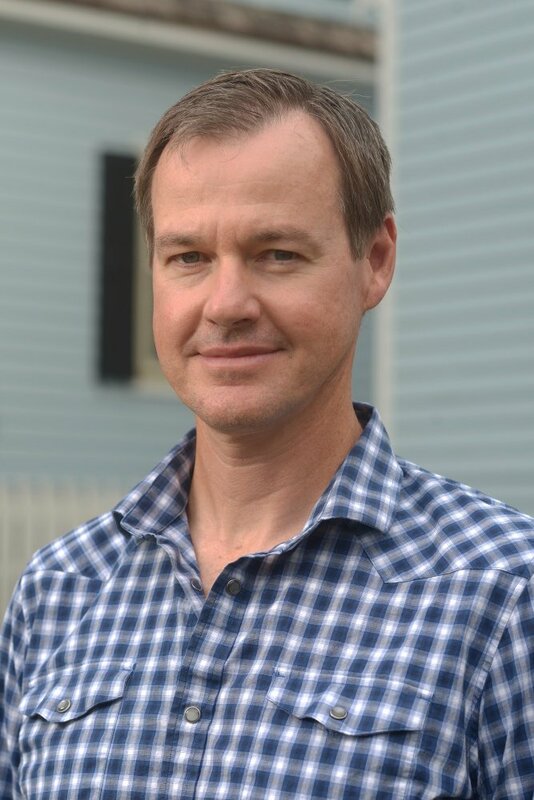 Peter Hedlund is the director of Encyclopedia Virginia. Hedlund’s responsibilities include identifying and incorporating engaging technologies into EV. Since 2008 Hedlund has implemented interactive mapping features, improved searching capabilities, virtual tours of historic sites and virtual reality imagery. 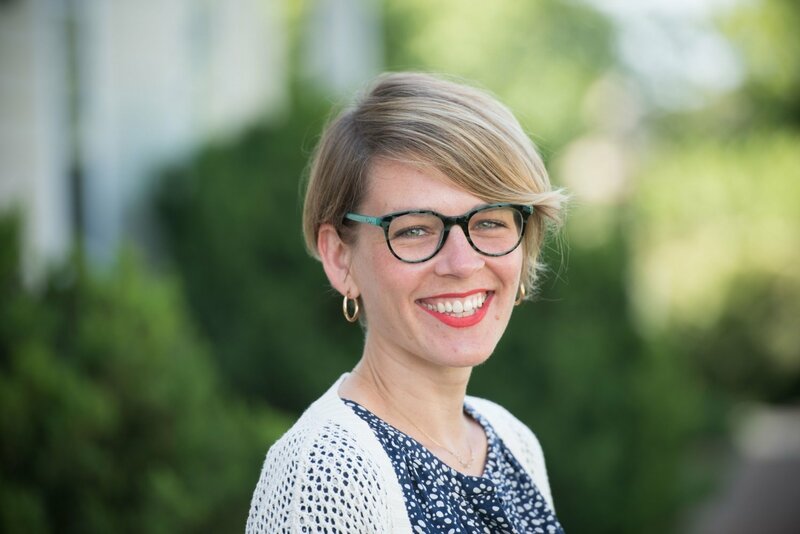 Hedlund also teaches workshops intended to teach other humanities professionals how to use digital methods to tell their organizations’ stories. 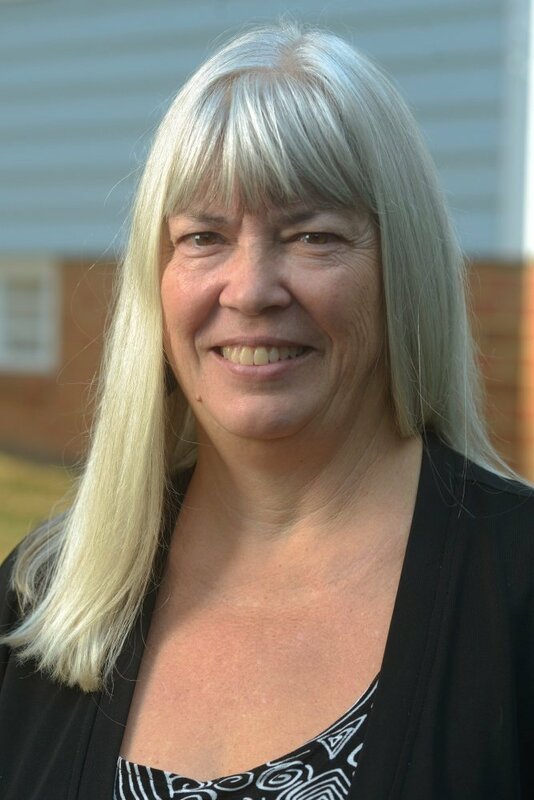 Donna M. Lucey is the media editor of Encyclopedia Virginia. She is the author of Archie and Amélie: Love and Madness in the Gilded Age, Photographing Montana 1894–1928: The Life and Work of Evelyn Cameron, and other books. She has received two grants from the National Endowment for the Humanities as an independent scholar. She’s worked as a photo editor at Time-Life Books, the New York Times Magazine, People and other publications. She is currently under contract with W.W. Norton & Company to write a book about several women painted by John Singer Sargent. Susan Holbrook Perdue is director of digital strategy and also manages Discovery Virginia, the institutional repository for Virginia Humanities. She works with staff and Virginia Humanities partners to find efficient methods of organizing and sharing humanities content online. Perdue is also a documentary editor and is co-editor of The Guide to Documentary Editing (3rd ed.). 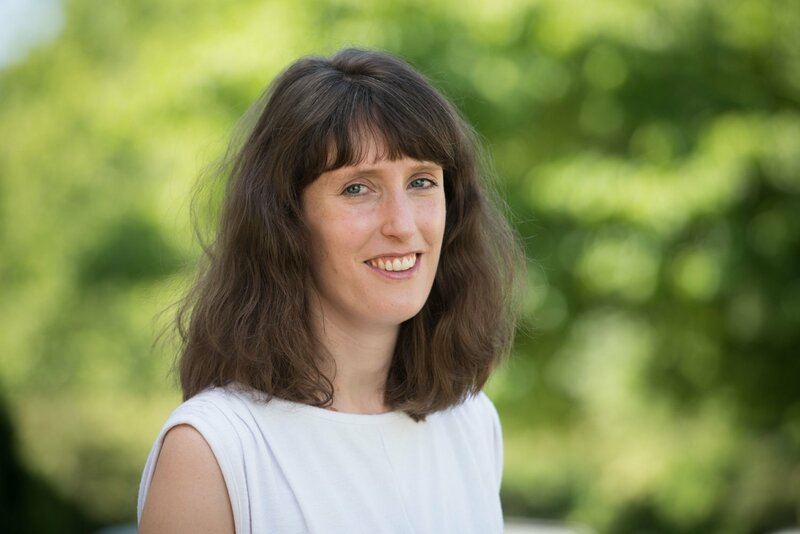 She serves on the Advisory Committee on Historical Diplomatic Documentation for the Department of State, the National Advisory Board for The Joseph Smith Papers, and the Social Networks and Archival Context, a Mellon-funded project at Institute for Advanced Technology in the Humanities (IATH). John is a storyteller with web design and development skills. 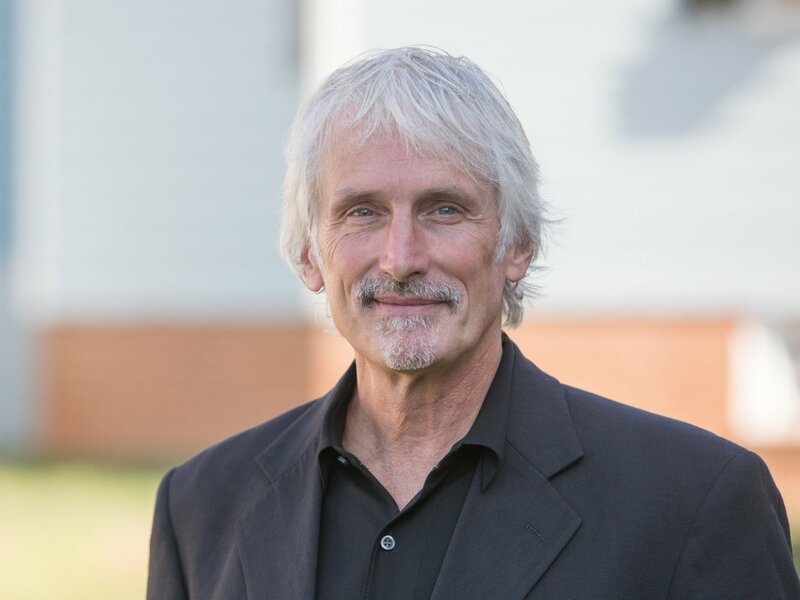 He joined Virginia Humanities in 2019 after eight years of running the website for the Curry School of Education and Human Development at UVA. 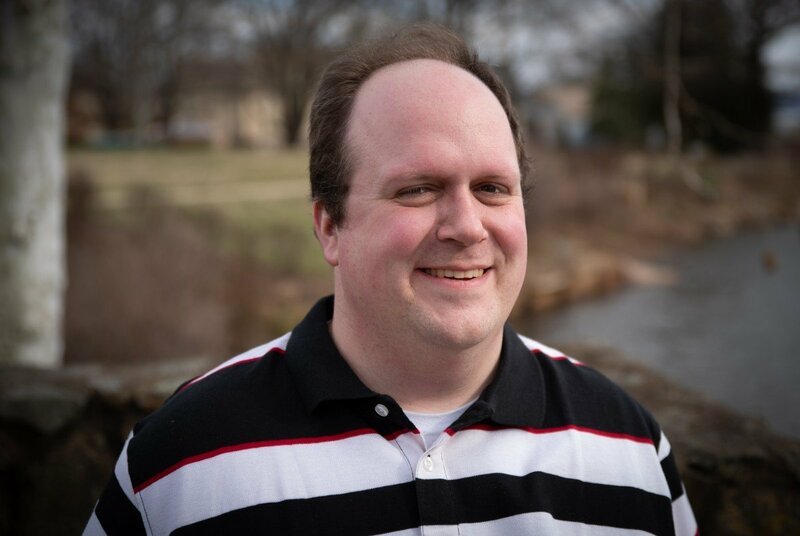 He teaches web design and development at Piedmont Virginia Community College and has published both web development articles and science fiction stories. In whatever spare time he can squeeze out of the day he writes eight word stories, more science fiction, and tutorials that smash web development and zombies together for fun and profit. John earned a BS in Computer Science from the University of Delaware and an MFA in Film and Electronic Media from American University. Brendan Wolfe is the editor of Encyclopedia Virginia. 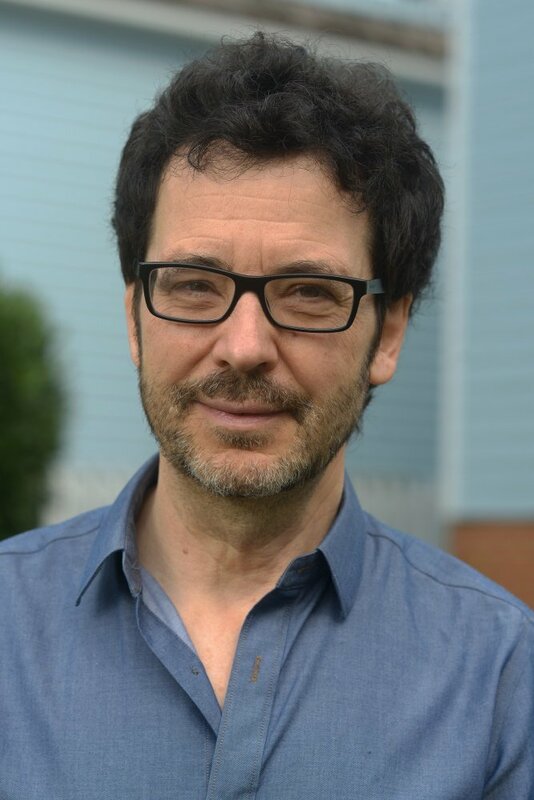 He came to Virginia Humanities in 2008 after earning an MFA in nonfiction writing at the University of Iowa and working in journalism and educational publishing. He has published widely, including essays and reviews, and is the author of two books: Finding Bix: The Life and Afterlife of a Jazz Legend (2017) and Mr. Jefferson's Telescope: A History of the University of Virginia in 100 Objects (2017). 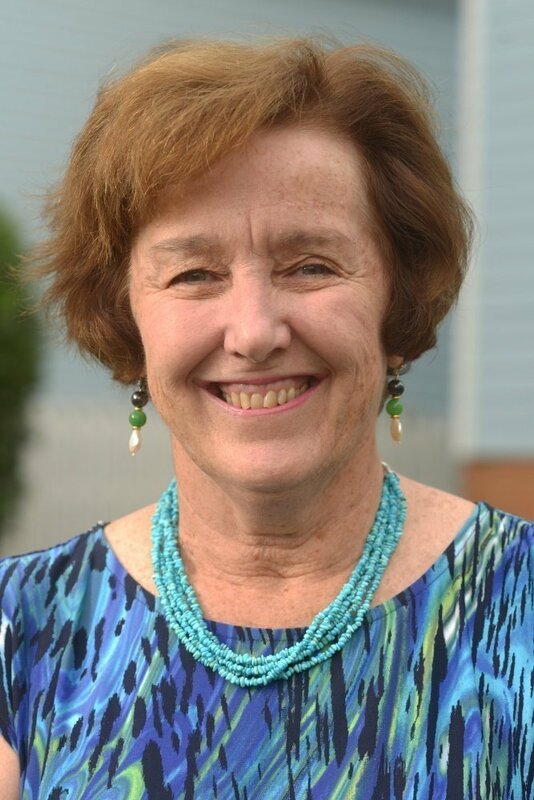 Jeanne Siler joined Virginia Humanities in 2006 after finishing 18 months as a community historian on a Virginia Humanities-administered grant in Martinsville. Working closely as a program associate in Grants, Siler now also administers the Fellowship program for residential and non-residential scholars and writers. A background in journalism allows her to help with communication efforts across many Virginia Humanities programs. David Bearinger is director of Grants and Community Programs at Virginia Humanities and a member of the Council's staff since 1984. 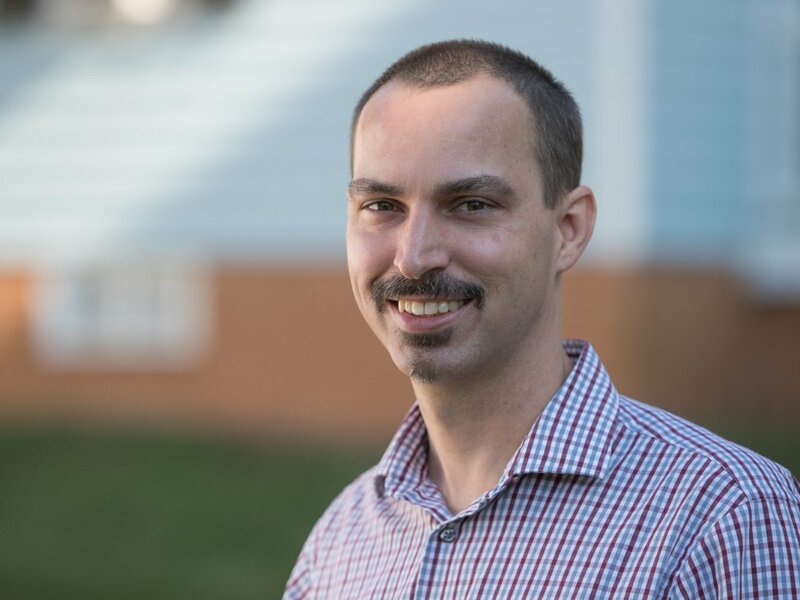 He has worked with hundreds of grantee organizations, spearheaded the review of thousands of grant proposals, and guided long-term program development initiatives in the Southwest, Northern Virginia, Western Tidewater, and Eastern Shore regions of the state. He has also conceived and coordinated multi-year, statewide projects on topics ranging from the Bill of Rights and the Supreme Court to the impact of Science and Technology in Society; edited scores of publications; written widely on the humanities and the work of Virginia Humanities; and built successful partnerships with cultural organizations, state agencies, colleges and universities, public schools, immigrant and indigenous communities, and state and national organizations in Virginia and beyond. 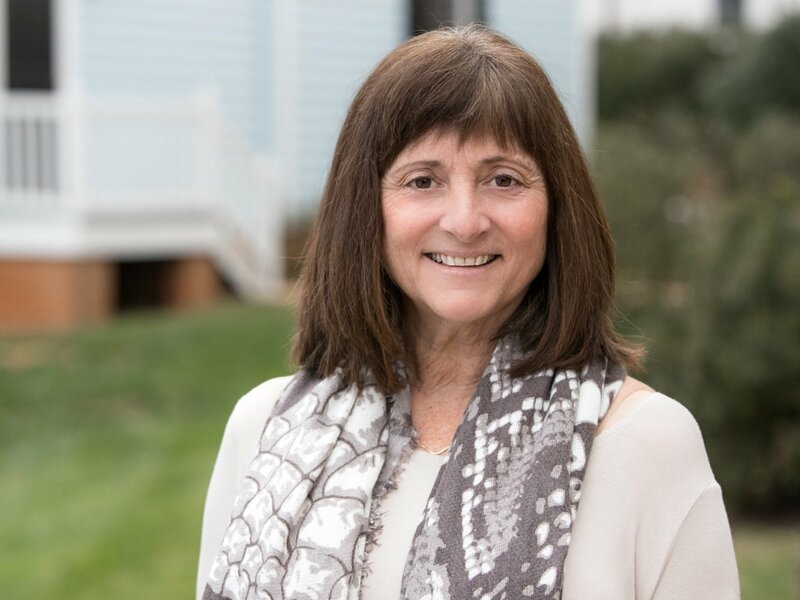 Carolyn Cades has worked in Grants and Community Programs since 2008, with a focus on projects relating to African American and Virginia Indian history, folklife, and global Virginia. 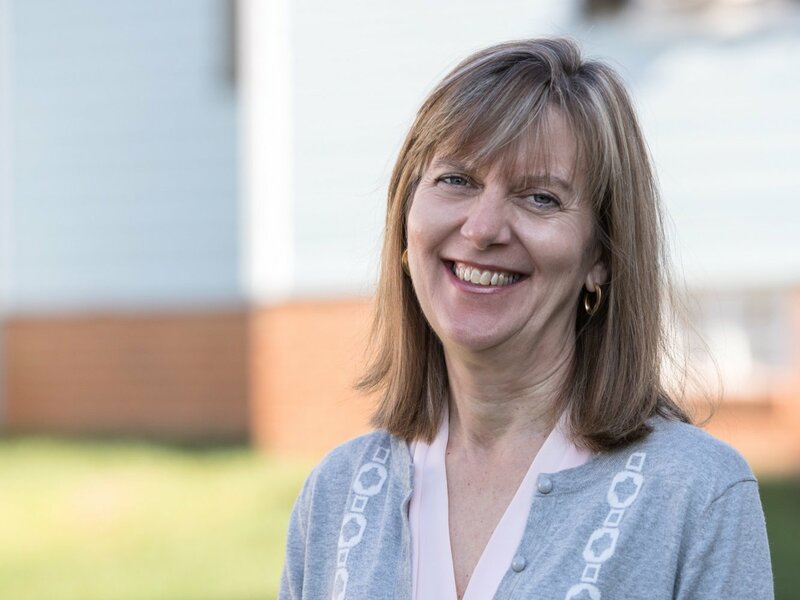 She advises grant applicants and recipients, and as a member of the staff Grants Review Committee, focuses especially on applications relating to the history of diverse cultures in Virginia. Cades helped coordinate Virginia Africana, begun at Virginia Humanities in 2009 to support African American programming in museums throughout the Commonwealth. She has contributed research, edited, and administered two digital initiatives, the Virginia African American Historic Sites Database and the Virginia Indian Archive, and has organized and managed several musical events presented by Virginia Humanities Community Programs. Cades serves as a writer and copy editor for the Virginia Humanities newsletter, Views. 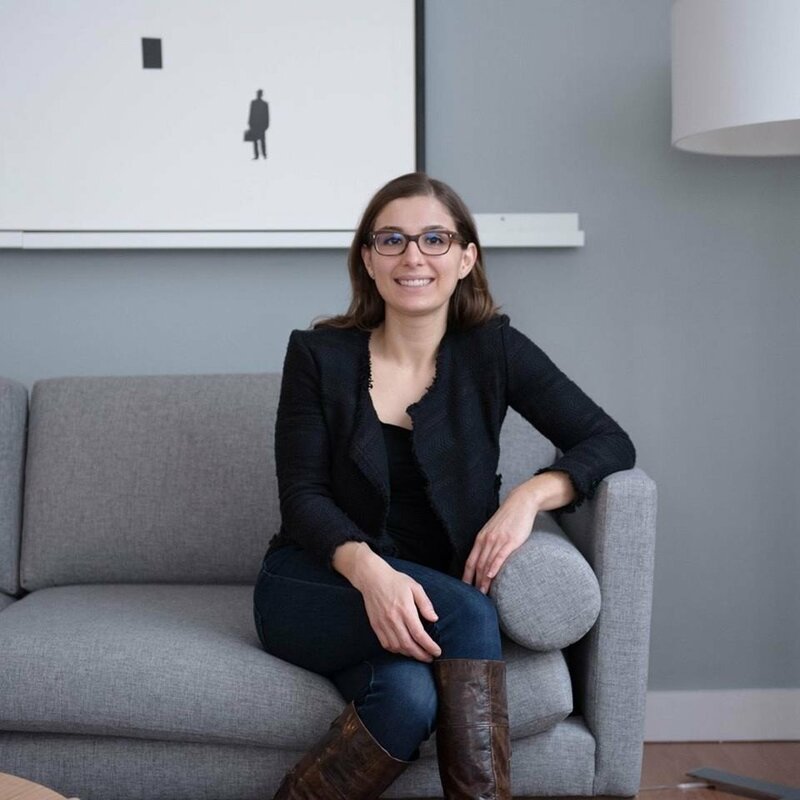 She earned a BA in English from Wesleyan University in Connecticut, where she minored in French language and literature, including a year of study in Paris. Before joining the Virginia Humanities staff, Cades worked at Rare Book School at the University of Virginia. Ms. Edmunds is a journalist by training, having worked as a reporter at the Atlanta Constitution and as a writer and then executive editor at Atlanta Magazine. In 1998, she left Atlanta to accept a Virginia Humanities fellowship to research the 1963 Danville civil rights movement. 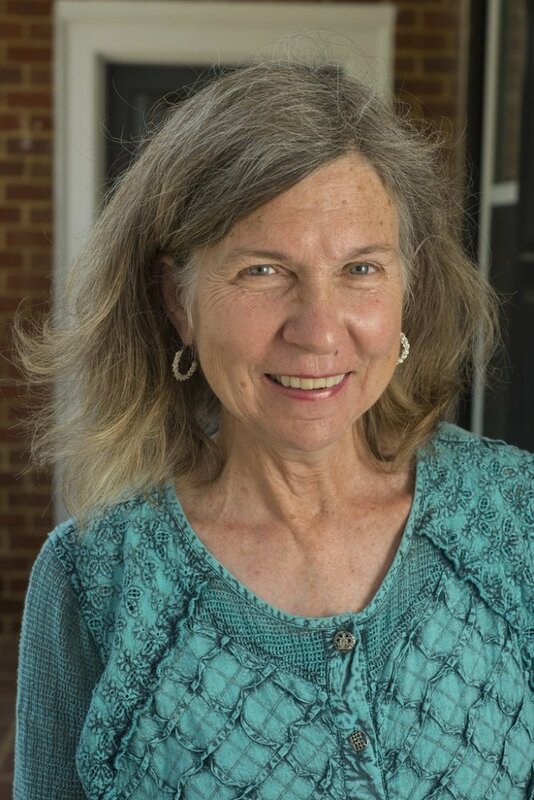 With Charlottesville photographer, Tom Cogill, she developed the “Mapping Local Knowledge: Danville, Va. 1945-75” exhibit shown at four sites statewide and expanded into a website. Most recently, she created the exhibit, “The 1963 Danville Civil Rights Movement: The Protests, the People, the Stories,” shown in Charlottesville in 2016 and now in Danville. Lilia Fuquen is the project director of Food and Community in Virginia, a project of the Virginia Folklife Program. 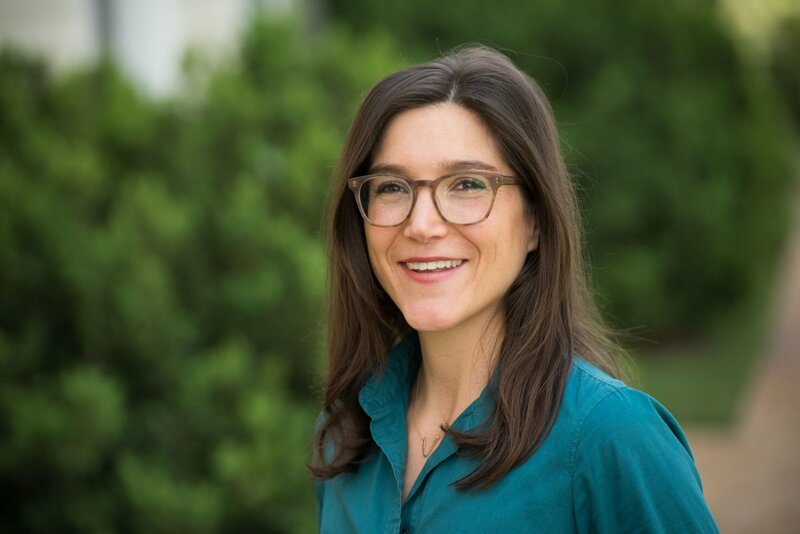 She was hired in 2014 as an assistant producer for Virginia Humanities' weekly public radio program With Good Reason, and is now launching a Virginia Humanities podcast series covering Virginia foodways. Lilia holds a baccalaureate degree in Integrated Studies from Kent State University and has been intrigued by the nexus between food and community since she grew up living above her mother's café and spending time on her family's farm in Colombia, South America. Now Lilia is eating her way through Virginia and recording the stories around traditional, contemporary and emerging foodways. Pat Jarrett is a photographer and editor working with the Virginia Folklife Program at Virginia Humanities. His work has also been published by the Washington Post, The New York Times, The Guardian in London, National Public Radio and The Christian Science Monitor among others. His work has also been recognized by the Virginia News Photographers' Association and the Horizon Interactive Awards. 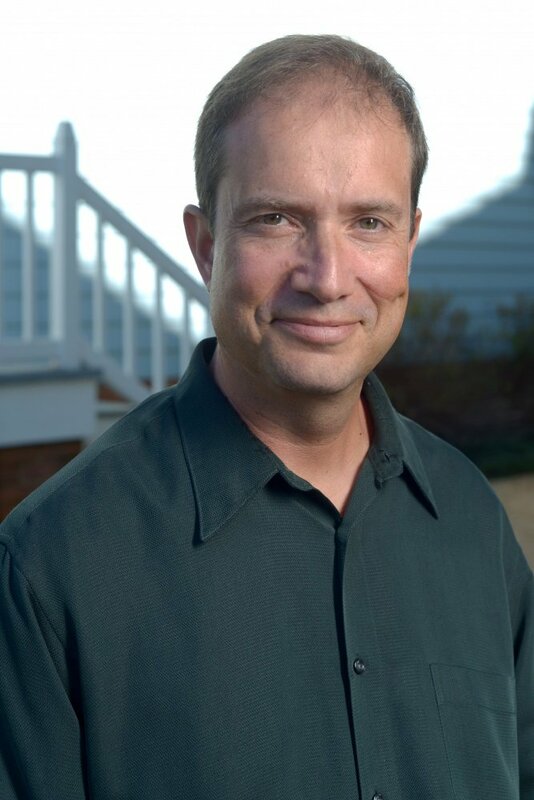 Jon Lohman is the Virginia State Folklorist and director of the Virginia Folklife Program. Jon earned a Ph.D. degree in Folklore and Folklife from the University of Pennsylvania. Since coming to Virginia Humanities in 2001, Lohman has been actively showcasing Virginia’s rich cultural folkways throughout the state at festivals, exhibitions, workshops and other public programs, as well as various forms of media including radio and video, and production of professional, studio recordings, as well as recording countless hours of field recordings of traditional musicians. Lohman has presented his work and collaborated with the Smithsonian, the American Folklife Center at the Library of Congress, and numerous cultural organizations and festivals throughout Virginia and the country. 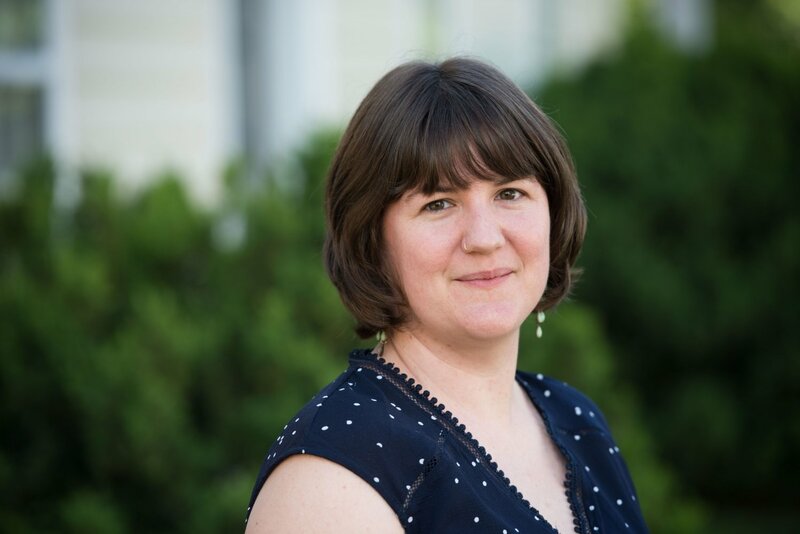 Karice Luck is the program coordinator for History United, a place - based project of Virginia Humanities. Working in the Danville area, Luck collaborates with Virginia Humanities staff and local community members in Danville to establish a strong network of local cultural organizations committed to positive change. Through community dialogues and programs, she encourages a collective process of determining how a deeper understanding of local history can build a new sense of purpose and identity. Luck has done extensive genealogical research on the Pittsylvania County, VA area. 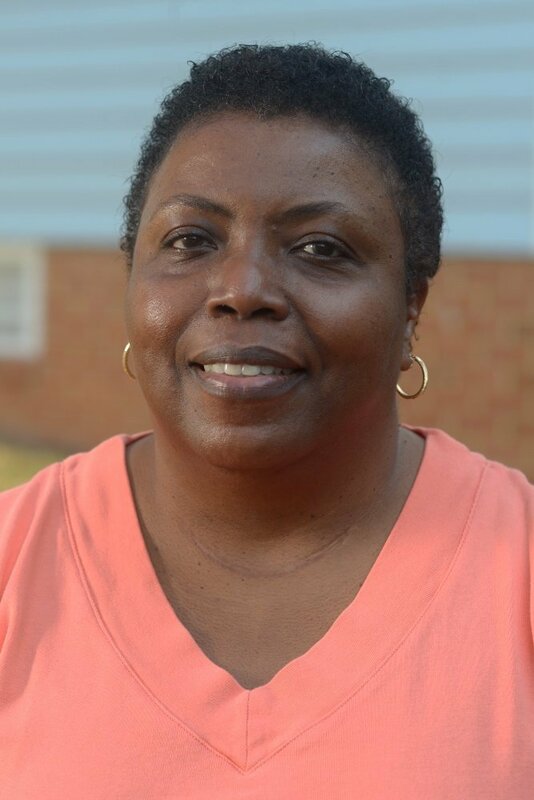 She is the founding president of the Danville/Pittsylvania County Chapter of the Afro-American Historical & Genealogical Society. Chad Martin was elected to Martinsville City Council on November 8, 2016 and began his four year term on January 3, 2017. Vice Mayor Martin graduated from Carlisle School in 1997, is a graduate of Shaw University with a bachelor's degree in Religion & Philosophy, studied at Shaw University Divinity School, holds a Duke University certification in nonprofit management, is a Leadership Plenty Train the Trainer Facilitator, (MVP) mentors in violence prevention train the trainer, and University of Virginia/Center for Disease Control certification as a Lifestyle Coach. 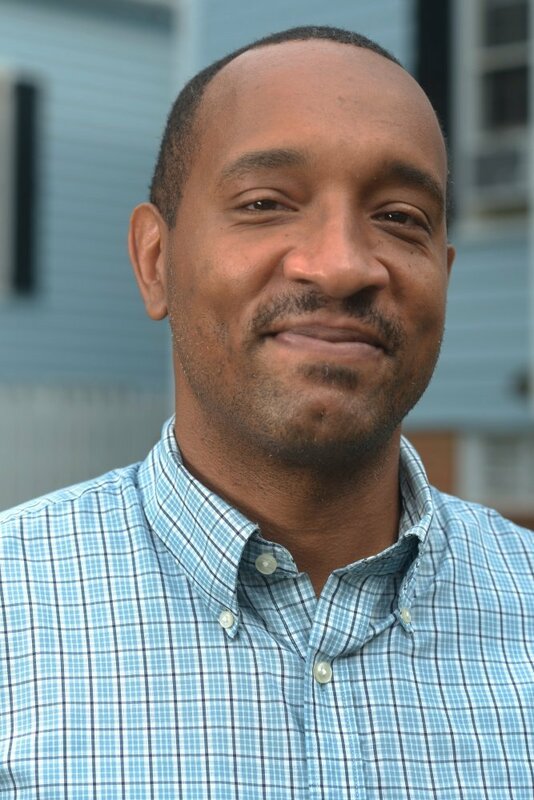 Vice Mayor Martin has worked in the nonprofit world for over 15 years as a community organizer, is a current 2018-2020 Virginia Tech VALOR Fellow, 2017-2018 Roanoke City works Xpo Fellow, DC ’17 Starting Bloc Fellow, and 2016-2017 Middle Border Forward Fellow. He has spent the majority of his life in service to others and hopes one day someone can report that they have benefited from his help. Justin G. Reid is a cultural preservationist and civil rights public historian. As Virginia Humanities' director of African American programs, he helps develop and support cultural heritage initiatives across the state and manages the General Assembly’s African American Cultural Resources Task Force. 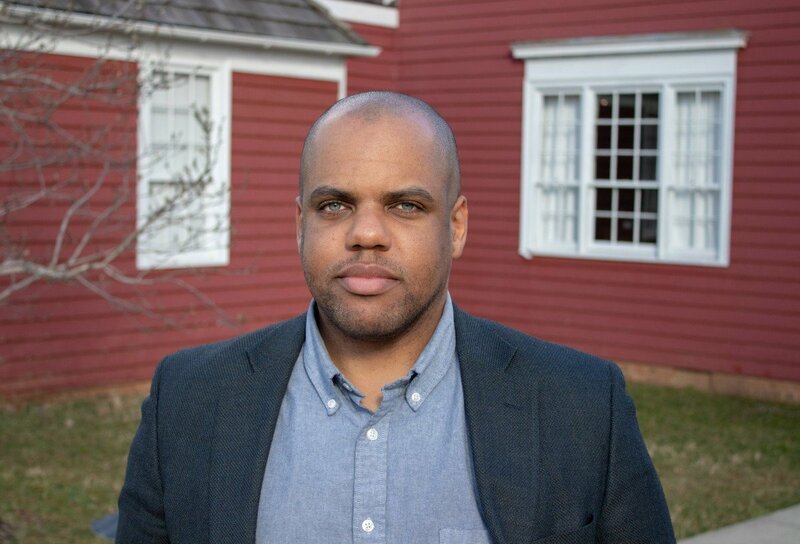 Justin previously worked for the Moton Museum & National Historic Landmark in his hometown, Farmville, Virginia, and oversaw the 2013 opening of Moton’s national award-winning, $6 million permanent exhibition. He is a former founding board member of the annual Virginia Children’s Book Festival and co-founder of the College of William & Mary’s Lemon Project on History & Race. 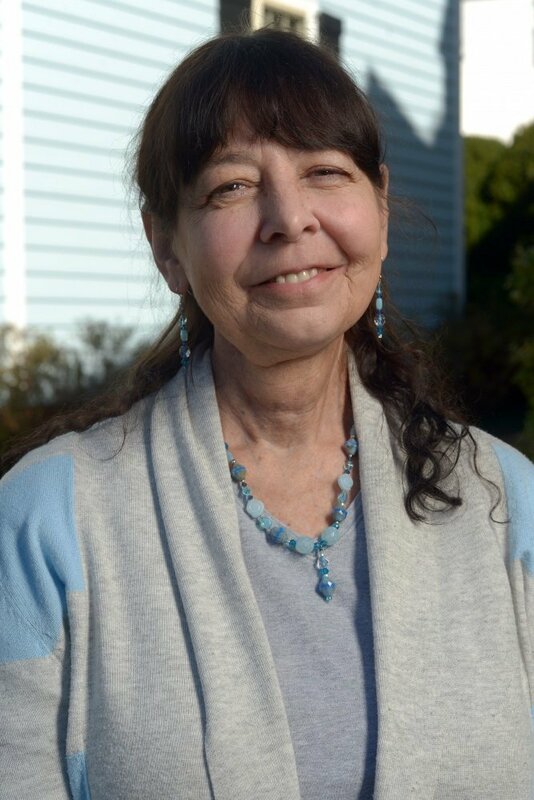 Karenne Wood is an enrolled member of the Monacan Indian Nation who directs Virginia Indian Programs at Virginia Humanities. She has worked at the National Museum of the American Indian as a researcher and at the Association on American Indian Affairs as a repatriation specialist. In 2015 she was honored as one of Virginia’s Women in History. Karenne is the author of two poetry collections, Markings on Earth (2000) and Weaving the Boundary (2016). Her poems have appeared in The Kenyon Review and Shenandoah. Associate Producer, "With Good Reason"
Cass Adair is an associate producer at With Good Reason. 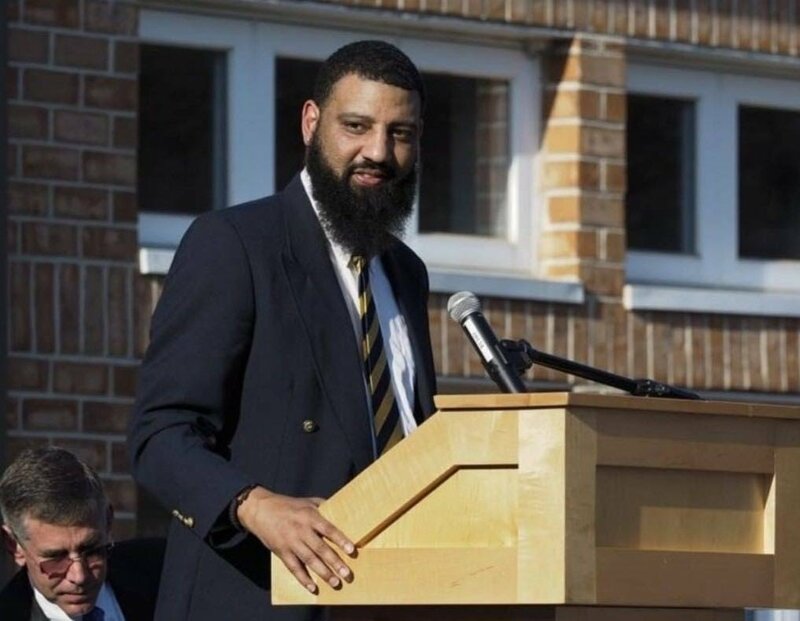 Previously, he has served as a production assistant at Michigan Radio, a statewide NPR affiliate station, and as an audio storytelling consultant at the Ginsberg Center for Community Service and Teaching. In addition, he has taught literature, writing, LGBT studies, and media studies at University of Michigan, Ann Arbor. Cass is a native of Virginia Beach, Virginia and a graduate of the College of William and Mary. Matt Darroch is an associate producer for BackStory. He holds an MA in history from James Madison University. Prior to his current position, he worked as Engagement Fellow at James Madison’s Montpelier where he cut his teeth in podcast production at the Robert H. Smith Center for the Constitution. 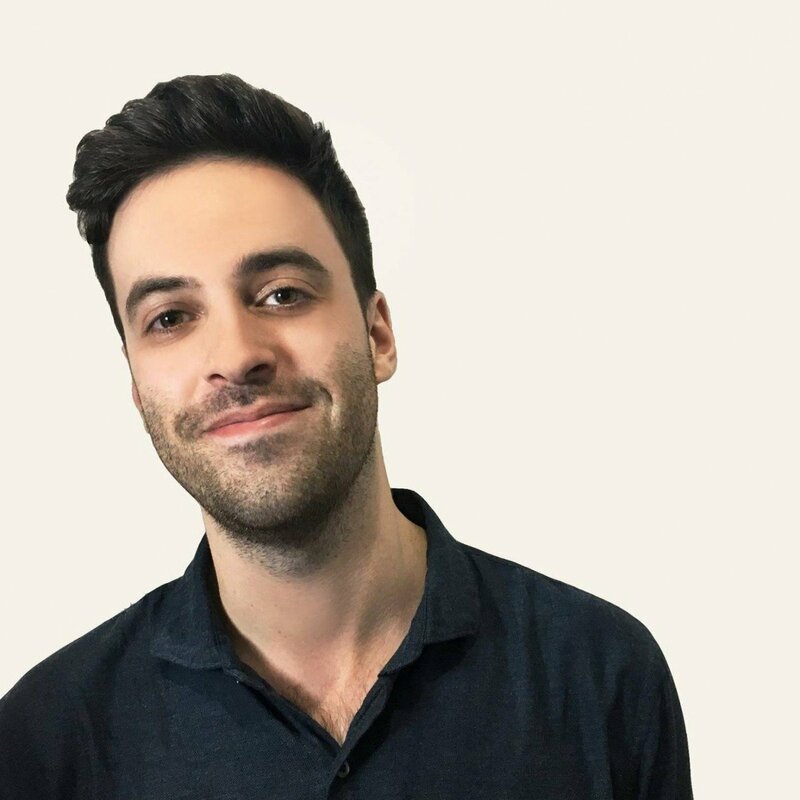 In this role, Matt helped various institutions record and edit their audio content, and in so doing, fell in love with podcasting as a tool to disseminate knowledge to broad audiences. Melissa Gismondi is the senior producer for BackStory. An award-winning, multimedia journalist with experience in both public radio and podcasting, she joined BackStory after working as an associate producer for CBC Radio in Toronto. She holds a Ph.D. in American History from the University of Virginia and contributes regular articles and essays to major media outlets including the Washington Post and Canada's leading literary magazine, the Walrus. Kelley Libby is an associate producer at With Good Reason. She holds an MA in Writing and Rhetoric from Virginia Commonwealth University and attended the Salt Institute for Documentary Studies. She is the creator and producer of UnMonumental, a Localore: Finding America project. Kelley’s work has been heard on NPR’s All Things Considered, Virginia Public Radio, and BackStory. 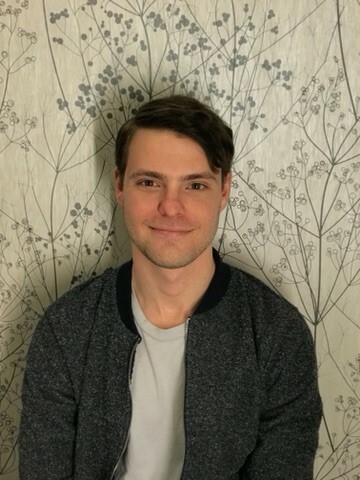 Elliot Majerczyk is an associate producer of With Good Reason. He holds a Masters in Science in Clinical Audiology and composes and records his own musical compositions, some of which have been featured in several radio shows on the NPR network. Majerczyk is also an adjunct professor in the department of Media Studies at the University of Virginia, where he teaches a course on radio and podcast production. Executive Producer, "With Good Reason"
Sarah McConnell is producer and host of the weekly radio program With Good Reason. McConnell came to Virginia Humanities after serving as news director and morning news anchor for the radio station WINA. She has Master of Education and undergraduate English degrees from the University of Virginia. McConnell is a co-founder of Computers4Kids and serves on the board of the Couric Women’s Leadership Forum. 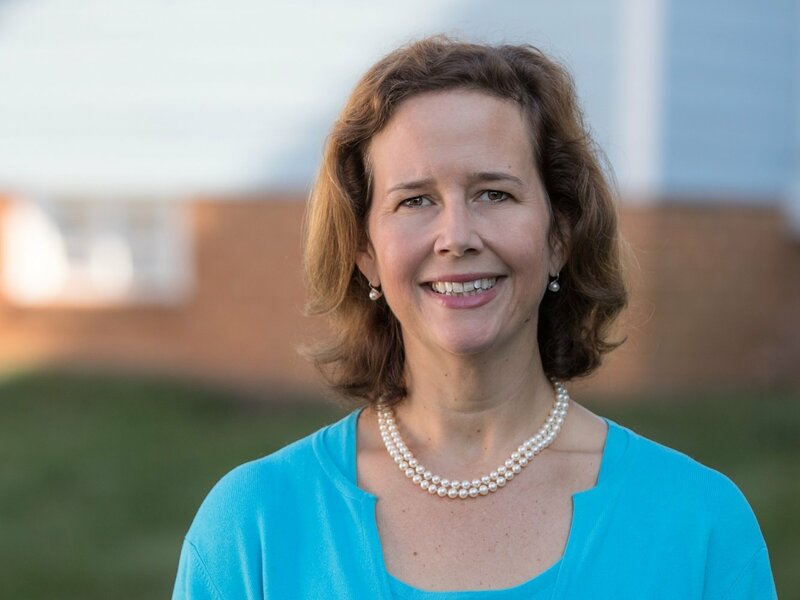 She was the broadcast representative of the Virginia Newspaper Association Freedom of Information Committee, and has been on the boards of the Virginia Associated Press Broadcasters, the Virginia UPI Broadcasters, WUVA, Offender Aid and Restoration, and Children Youth and Family Services. Before joining BackStory, Jamal Millner spent 20 years as a professional guitarist, producer and composer touring North America, Africa, Australia and Europe. He has performed with Taj Mahal, Vusi Mahlasela, Ali Farka Toure’, Dave Matthews Band, Corey Harris, John Jackson, Nicholas Payton, and countless others on stage and in the studio. Jamal has performed at the Montreaux Jazz Festival, Chicago Blues Festival, North Sea Jazz Festival, Bonnaroo, Byron Bay Blues Festival, San Francisco Jazz Festival, and the New Orleans Jazz and Heritage Festival. Jamal is also an accomplished audio engineer with credits on numerous works in various genres and forms of media. Senior Producer, "With Good Reason"
Allison Quantz is an associate producer at With Good Reason. Her audio features have been heard on stations and shows across the country, including Word of Mouth, BackStory with the American History Guys, PRX Remix, and Distillations. In February 2015, Quantz helped launch The Briefing with Mike Mastanduno, which she now produces as a joint venture between Dartmouth College and SiriusXM. Quantz's work has been honored with several Edward R. Murrow Awards, as well as awards from the Virginia Association of Broadcasters. Adam Shapiro is an associate producer and researcher at BackStory. Previously, he worked as an assistant producer on The Brian Lehrer Show at WNYC Radio. Before that, he was a producer for CJAD 800 Radio in Montreal, Canada. He holds a degree in history from Columbia University. David Stenhouse is the executive producer for BackStory. Stenhouse has more than two decades of public radio production experience in the UK and US. He holds a Ph.D. in Southern Literature of the 1930s, was visiting professor of English Studies at the University of Strathclyde 2006-2009, and has received multiple awards, including for his work on a production commemorating Dr. Martin Luther King’s iconic speech, “I Have a Dream,” which won the 2014 Stanford St Martin Award for Radio Program of the Year, and as executive producer of BBC Radio 4’s The Digital Human. Digital Editor & Strategist, "BackStory"
Diana Williams is the digital editor and strategist for BackStory the American History Podcast. She creates, curates and edits content for all of BackStory’s digital platforms and communicates news and information about and for the show to all interested stakeholders including listeners, donors and external media. Williams was most recently with University of Virginia's Office of Communications. She brings more than five years of experience in higher education communications with a keen interest in digital presence management to her role. She is a new media professional with an MA in journalism and public affairs from American University.